When I was in my early 20s and becoming aware that I was by far my happiest in the kitchen and my interest in flavor and food was on a level that was not entirely normal, America was obsessing over classic French and Italian cuisine. Anxious cooks were obsessed with anything Julia. Later there was anything Marcella. But it was an oddly joyless time. If you went to a dinner party, you were expected to talk all evening about the food. Very little ever got said about anything but the food. There was a lot of competition involved, and the kitchen ethic that I grew up with in Louisiana, that of getting over yourself and cooking something good and inviting people in to enjoy themselves and each other, did not seem to be there. Fortunately in Manhattan in the early 80s there was joyful food to be had. I would make the very long walk to Manhattan’s Chinatown, where there were basins full of wriggling seafood and strange vegetables all along the sidewalks, and ginger and wild-looking dried things that might be fungal or might be animal, and the elderly vendors would hand me unfamiliar vegetables with the invariable instruction “cook in soup.” There were the Indian markets on Lexington Avenue, full of wonderful spices with a combined aroma that seemed like Nirvana, where a passing shopper in a gleaming sari might easily stop and spent 20 minutes telling me how she cooked greens or chappati like the ones her grandmother made. There was a Greek market on Ninth Avenue that sold green coffee beans for roasting at home and olives from enormous barrels and where the proprietor might cheerfully pass me a shot of Greek brandy as he wrote up my modest purchases, for the pleasure of watching me gasp and sputter as I tried to swallow it. 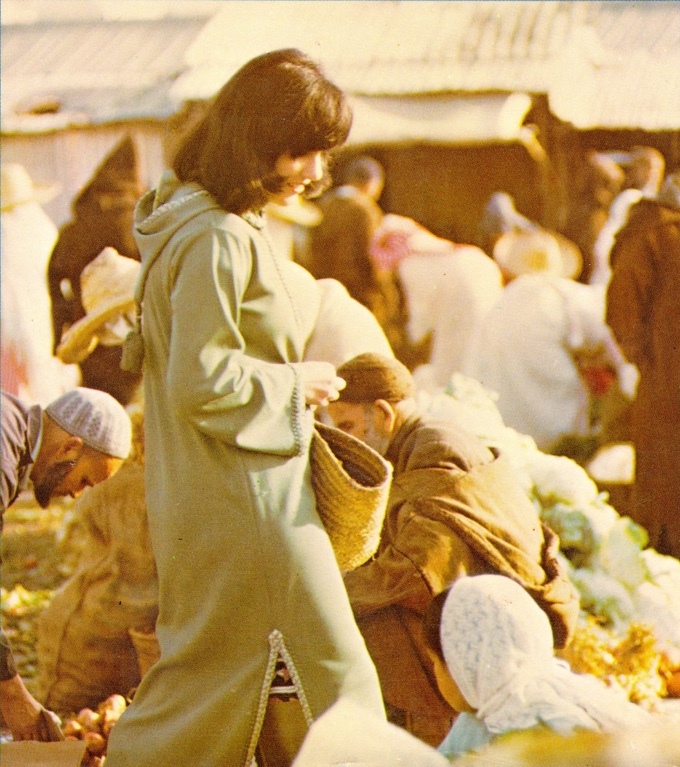 And there was Paula Wolfert. Instead of the staid rhythms of a classic cuisine, she wrote about the bold, the unexpected, and the renegade food of the world. Her recipes were long and extremely detailed and assumed that you loved to be in the kitchen and that spending a few extra hours there was nothing but a pleasure. She wrote about food that was not for showing off, but intended to warm and nourish people and make them incredibly happy. Her name became a kind of secret code among enthusiastic home cooks, and we might have long pleasurable arguments about which of her books was best. I bought my first couscoussiere, a huge tin lined copper beauty that was the glory of my kitchen and astonishingly cheap at the time because few people in America wanted one. 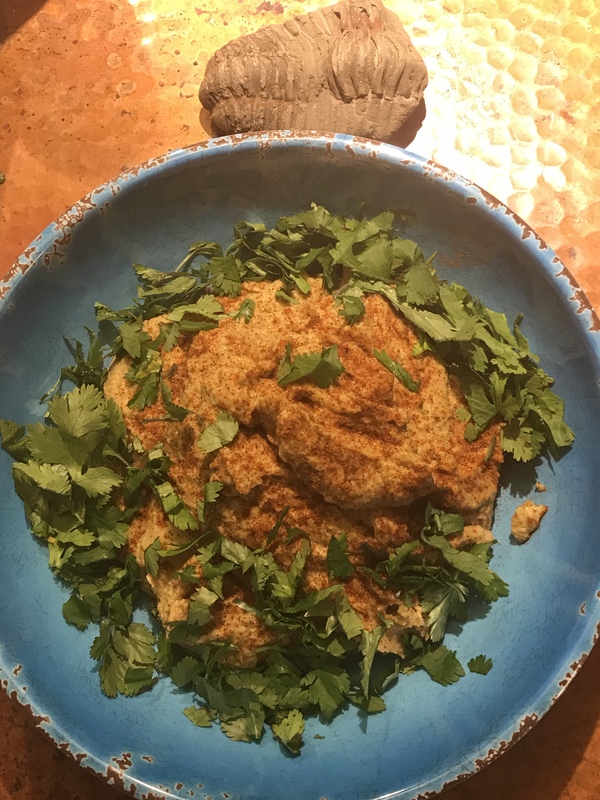 I preserved lemons and cooked chickpeas and developed a serious addiction to coriander leaves and toasted my own spices and longed for an exciting life like Paula’s. As Paula went on through various Mediterranean cuisines, I went with her, loving every minute of the journey. 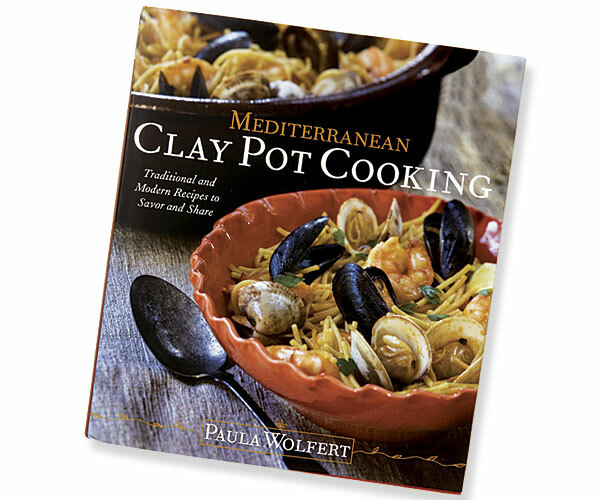 My Paula Wolfert cookbooks are ragged, broken backed, and splashed with food, which is as it should be. In some cases they look less blemished, because I wore out the original copy and got a new one. In 2013 Paula was diagnosed with Alzheimer’s disease, and consistent with her personality, she not only tried every way she could to maintain her own health but became a spokesperson for others with the illness. The cookbook Unforgettable, with the story of Paula’s life woven through recipes that she loves, has just been published through a Kickstarter campaign, and all diehard fans will want to own it. You can find it on Amazon. 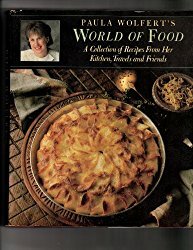 But don’t forget all the other books that chronicled her passionate interests through the years and gave us recipes that we will never forget. Even though we never met, Paula was my constant kitchen companion for decades. My hat is off to her, now and always. 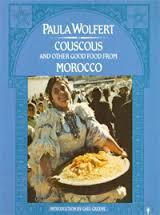 And by the way; best Paula Wolfert cookbook ever? 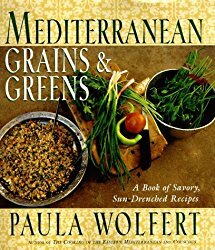 Mediterranean Grains and Greens. No question. Or if you aren’t convinced, meet me in the kitchen sometime and we can have a lovely argument about it. Right now I am reading two cookbooks that could hardly be more different from one another. Both are large, high quality, available only in hardcover, and gorgeously illustrated. One will make you cook, and one will make you think. The think-book will be reviewed tomorrow. 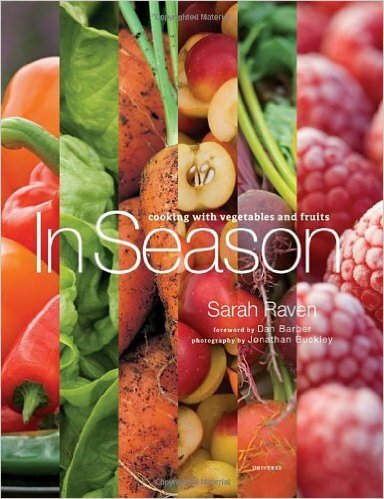 I have owned Sarah Raven’s addictive book about garden-based seasonal cooking for years. It has stood the test of time. Each spring I rediscover it, and it is on my bedside table right now. It seems to be neglected these days, which is why I’m doing my bit to get people to remember that it’s there. It is chock full of pretty photographs and, far more important, recipes that work and taste good. You can flip it open almost at random and come to a recipe that will become a kitchen favorite. It will help you cook your way through your garden or farmer’s market, and while your seasons might not correspond exactly to British seasons, you will cook through the seasons at your own pace in practice. 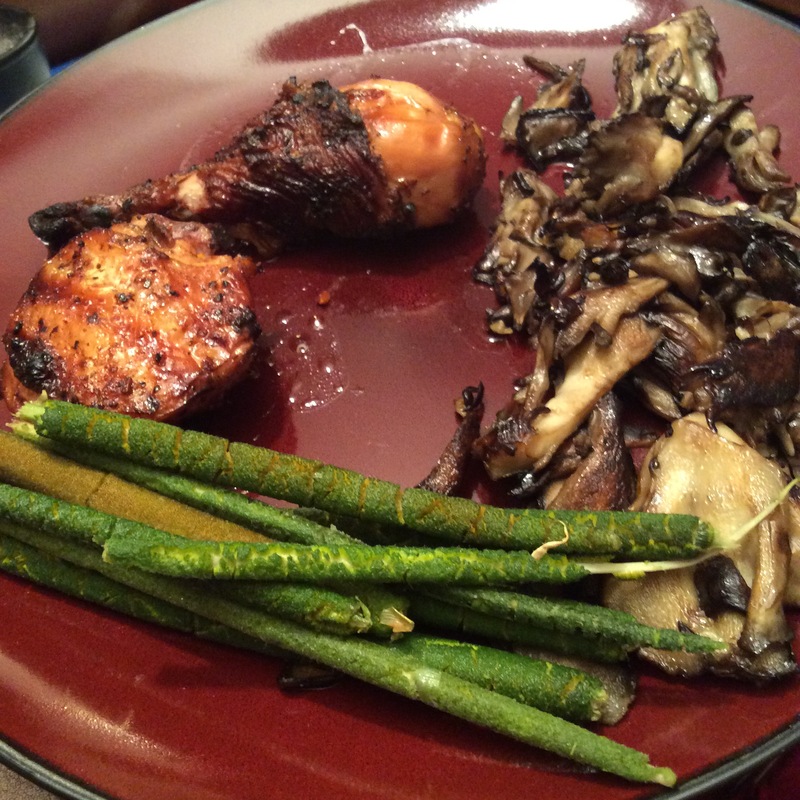 The recipes are never tricksy or overly fussy, and lean toward full pure flavors. 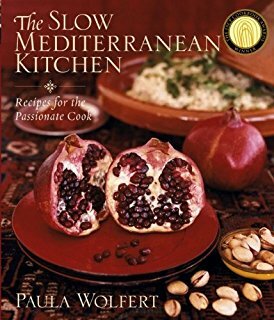 Favorite recipes: Peaches with Bourbon, Romano Beans with Cream and Savory, Lamb with Thyme Tapanade, Cranberry Beans with Sage, Braised Celery, Parmesan and Walnut Crisps, scores of others. Conclusion: buy it and cook from it. You will eat more fruits and vegetables and you will thereby be healthier and happier. Wild or Cultivated? Both. Also Delicious. As a general rule, I try not to review cookbooks until I have owned them for at least a year. I buy them at retail, paying the same price that my readers will eventually pay, and then I read them, cook from them and think about them. Many cookbooks that seemed very enticing when I first brought them home are relegated to distant shelves a year later. This one still has a prominent place at my bedside, which is my favorite place for reading and thinking about food. 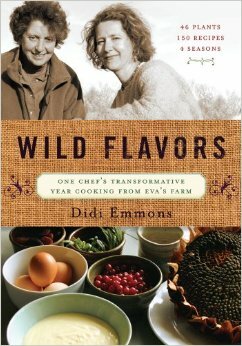 Chef Emmons writes about a year that she spent cooking from a wildly varied organic vegetable farm, Eva’s Farm. This farm seems to be doing on a very large scale what I am trying to do on my property on a very small scale, i.e. there is a little bit of everything and no clear line between the cultivated plants and the wildlings. Lambsquarters and nettles are given the same culinary consideration as spinach and chard, but there is no particular emphasis on their wildness; they’re just there. This is absolutely as it should be, in my view. 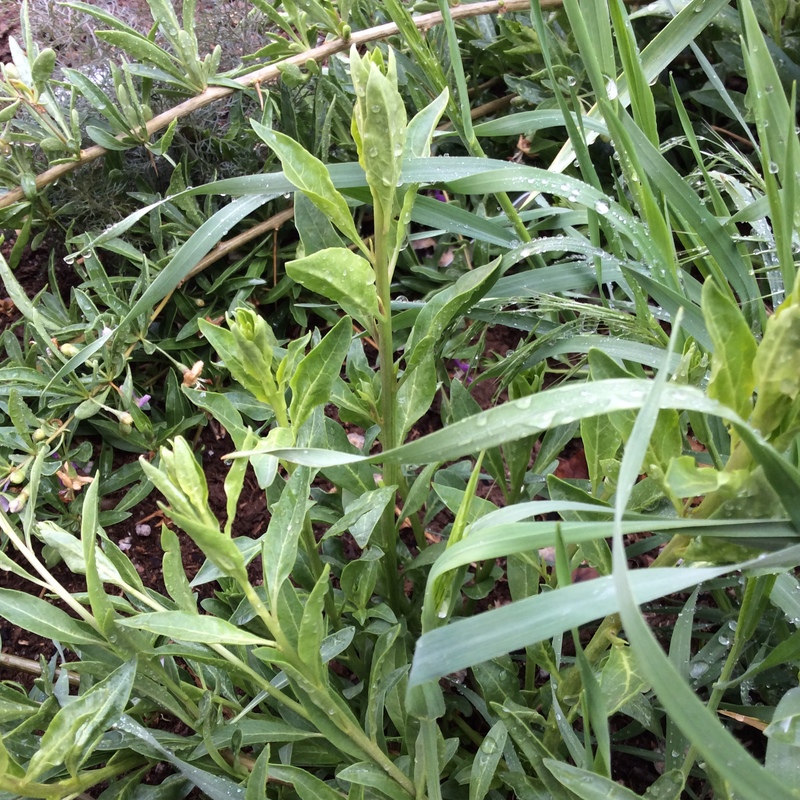 The difference between a cultivated plant and a weed is a rather slight one. The recipes read as an ongoing series of seasonal improvisations on the level of “see it growing, cook it, eat it.” They certainly work if you want to follow them closely, but in my view are better read as a vision of the garden through the eye of a cook, who might see infinite possibilities but can only cook one of them at a time. There is an emphasis on frugality but not an obsession with it. The use of herbs in lavish free-form ways is a delightful subtext. The sidebars are full of interesting thoughts about farming, cooking, and just being alive. The recipes include meat and dairy products and, in general, everything that might grow on a vegetable farm or be bartered for. In brief, I love this book, use it, and recommend it. I put it aside this winter, but when the first greens showed above ground, it was back at my bedside. It looks a bit worn and has a food stain on the cover, which tends to distinguish the cookbooks that I read from the ones that I use. 1. 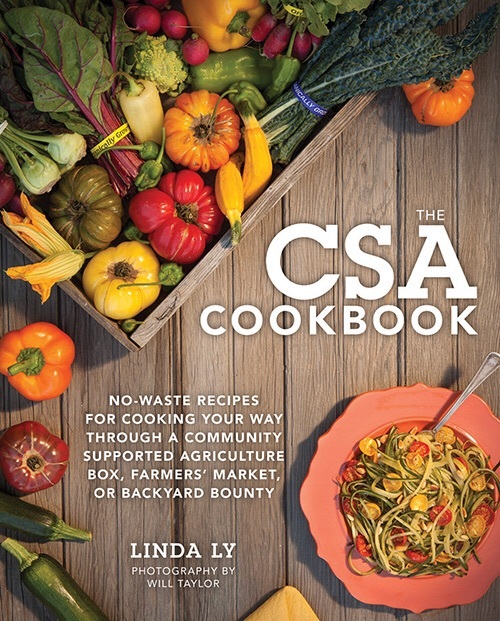 The organization is by vegetable type, so if you have leafy greens in the garden you can turn to the leafy greens chapter and consider some cooking options. 2. 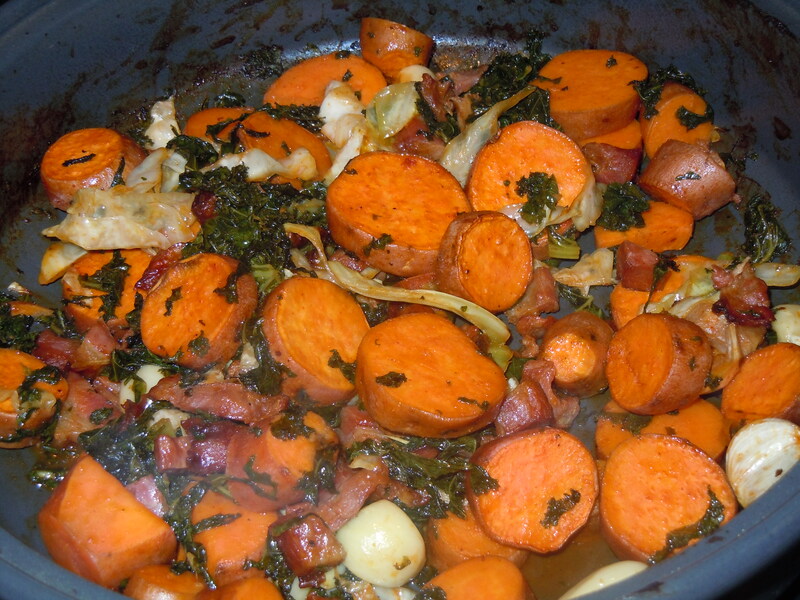 It offers suggestions for vegetables, or parts of vegetables, that aren’t usually eaten. 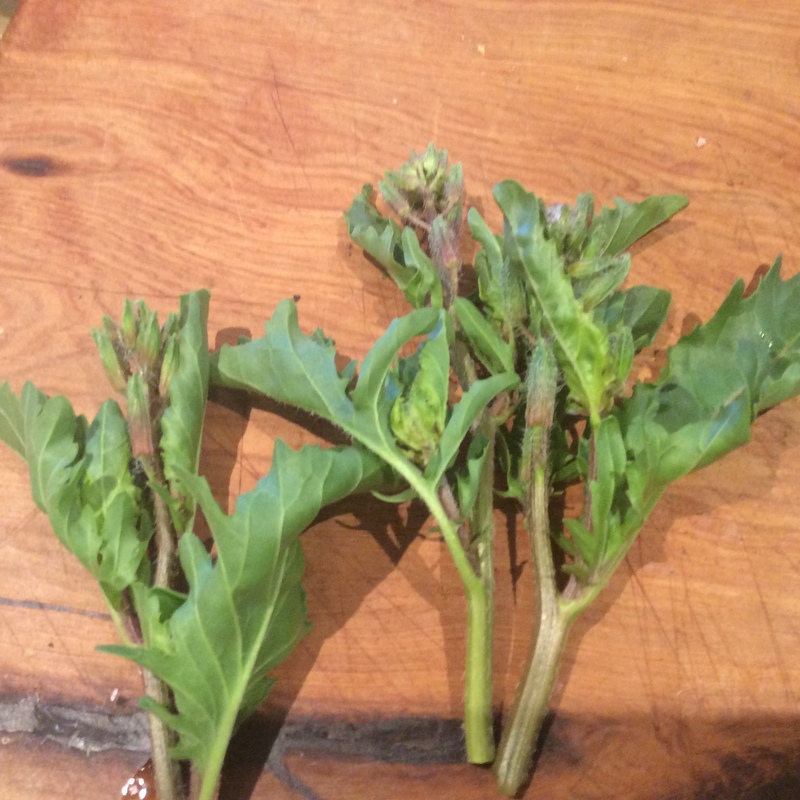 Broccoli leaves, for example, which are good to eat and highly nutrient-dense ( be careful how many you harvest, though, or your broccoli-bud crop will be significantly reduced.) Ms. Ly’s improvisational kale-stem pesto gives you a flexible way to use up the “nasty bits” of your kale. Tomato leaves are used well as a seasoning, and no, they aren’t poisonous. 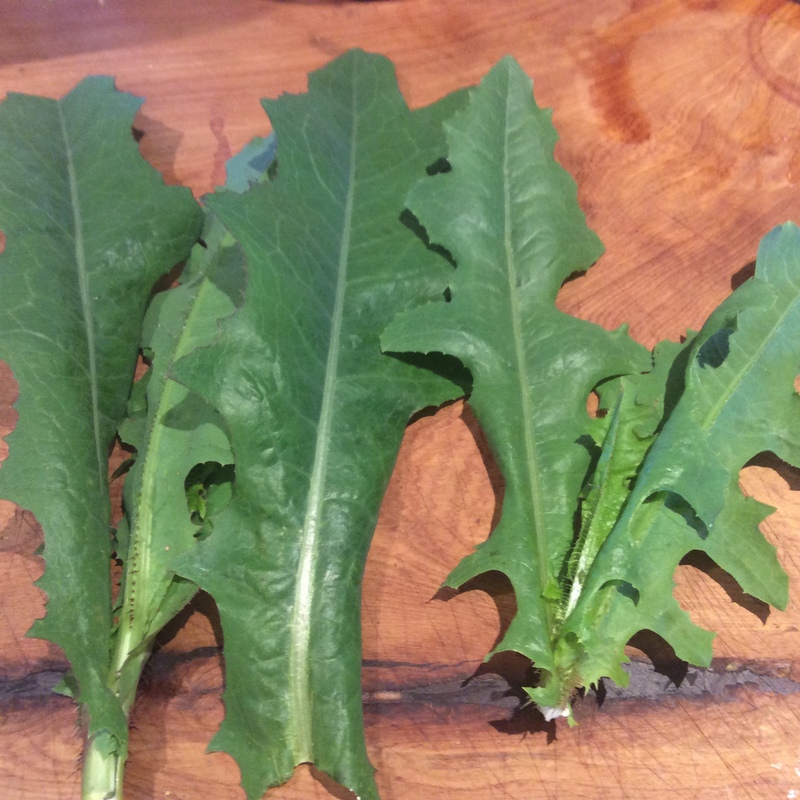 There are numerous other examples: I am looking forward to trying her chard-stem hummus later in the season. The recipe for pan-charred beans with bean leaf pesto looks like another winner. 3. The recipes that I have tried work and taste good. This does not go without saying. 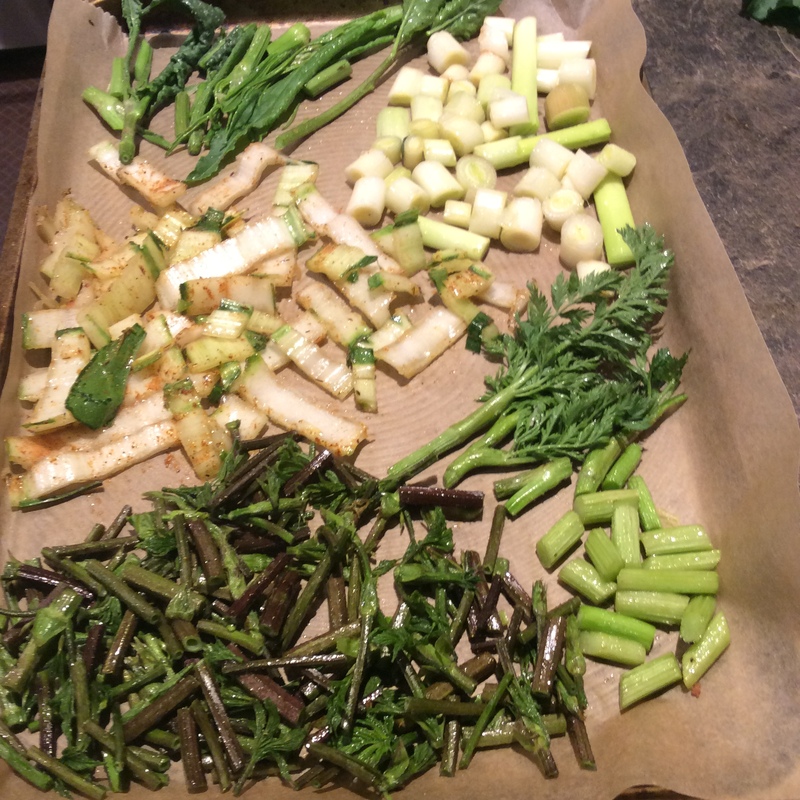 I have come across recipes, especially no-waste recipes, that look lovely in the picture but aren’t really edible. Ms. Ly’s recipes are good. Oh, and 4. 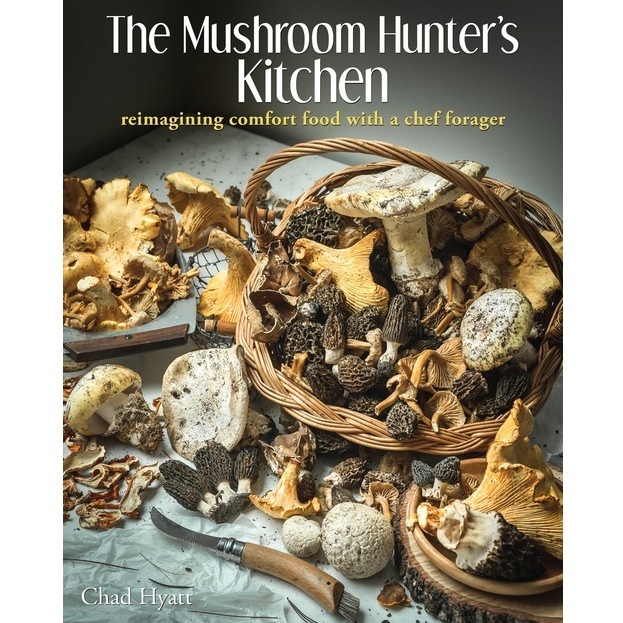 It’s available on Kindle if you need to save space on your cookbook shelves. I don’t accept review copies of cookbooks. I buy them at my local indie bookstore, paying the same price that you will pay. That’s the only way that I can judge whether the value/ price ratio is really favorable. I think this one is worth the money. Even an old hand in the kitchen will pick up some new ideas for using vegetables.